ATA 2014 in Baltimore brings together healthcare professionals and leading telemedicine programs to share new clinical research, best practices and innovative business models. 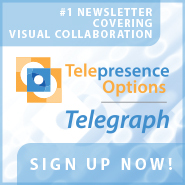 Please click through to view the latest issue of the Telepresence Options Telegraph, your top source for visual collaboration technology news and events. In this issue we offer a fun "Pro Tip" for recording multi-person presentations, as well as bringing you the latest news from our sponsors and the rest of the visual collaboration industry. 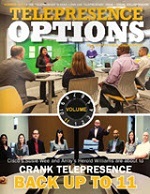 Please click through to view the latest issue of the Telepresence Options Telegraph, your top source for visual collaboration technology news and events. 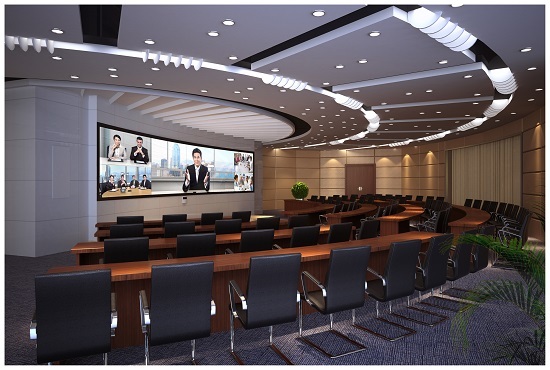 In this issue we offer a fun \"Pro Tip\" for recording multi-person presentations, as well as bringing you the latest news from our sponsors and the rest of the visual collaboration industry.